One-half of the brother-sister toy reviewing and unboxing duo that runs the YouTube channel PLP TV (Prank Lab Project TV). She and her brother Kevin Christopher have earned over 150,000 subscribers to their channel. The sibling's YouTube channel was created in October of 2014. It initially started off as toy collecting channel ran only by Jules. She and Kevin created unique challenge videos that include "Alphabet Aerobics Unboxing Challenge," "$10 Shopping Challenge," "Freakshake Challenge" and "Cuteness Factor Game Challenge #1,2,3." 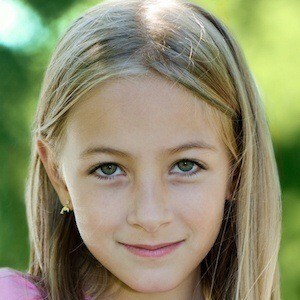 She and Kevin have a younger sibling named Genna Florence. She and Kevin collaborate as siblings like Adi and Tal Fishman.